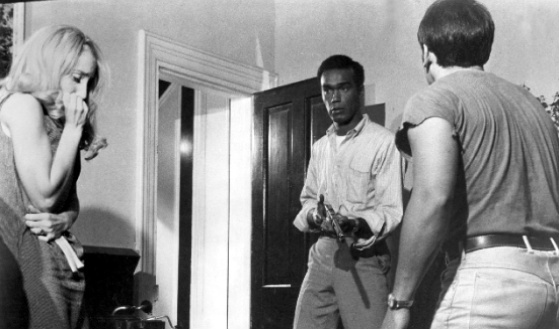 I cannot think of a single more essential film for budding horror fans than 1968’s NIGHT OF THE LIVING DEAD. Maybe 1922’s NOSFERATU is the nearest contender. These are the building blocks from whence entire genres and subgenres were constructed. They’re in black-and-white. Get over it. Some of the best movies ever are in black-and-white. It’s so necessary to know the history. It’s so amazing to see that these movies still work as intended. 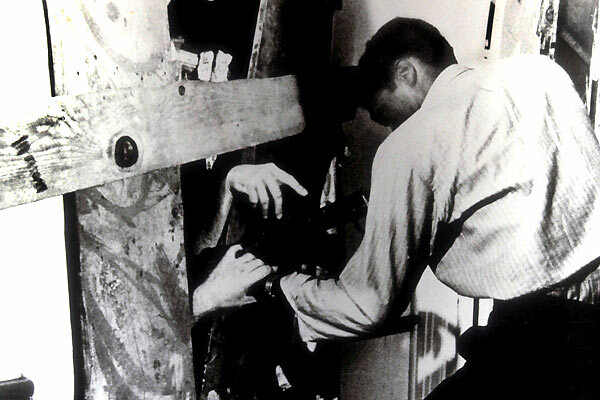 Like NOSFERATU, NIGHT OF THE LIVING DEAD is a movie which is in the public domain, which means that you can watch it online without too much guilt, and if you haven’t seen this pivotal movie before, maybe you’ll consider using this article as a bridge to doing so. Even better is seeing it in a theater with a midnight audience, upon which the frights of this film still carry an elemental power. In Brooklyn, there is a screening tonight at the Nitehawk. That’s the starter pistol. Start running if you’re within reach. 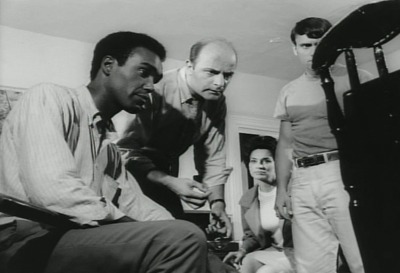 NIGHT OF THE LIVING DEAD is a centrally important movie in the horror genre, since it really is square one for the popularity of zombie tales (which today are literally inescapable), and in my personal opinion, it’s as watchable and as sturdy as it ever was. Sure, it’s as shaky and crude, and as limited by budget as it ever was, but to me, that’s always been part of its appeal. Because it’s not as polished as most other movies of its time, it carries a proto-documentary feel that makes it more effective than any horror movies of that time and many since. I don’t want to go into the political context, because that could be and has been a book (I recommend this one), and also because director George A. Romero has suggested that some of the movie’s most haunting real-world correlations were unintended. For example, the official line is that the fact that a black man is the film’s heroic lead was not meant as a political statement but only a case of the best and most available actor getting the role. And there is no reference made to the country’s then-current involvement overseas in an unwinnable war. But sometimes a movie can become more than it was even meant to be. This one sure did. If you put a gun to my head, hopefully it’s not because I have become a zombie. If you put a gun to my head and demanded I tell you what the most important horror film of all time is, I’d probably have to send you right over to Romero’s follow-up ten years later, DAWN OF THE DEAD (1978), a sequel of sorts. The sociopolitical elements of that film are more intentional, and quite perfectly matched to the eerie and sometimes horrific atmosphere. But without NIGHT, there’d be no DAWN. Came down to that. Being a horror fan and not having seen NIGHT OF THE LIVING DEAD is like being a religious person and not having read your religion’s bible. People do it all the time, but those aren’t the kind of people you should want to be.